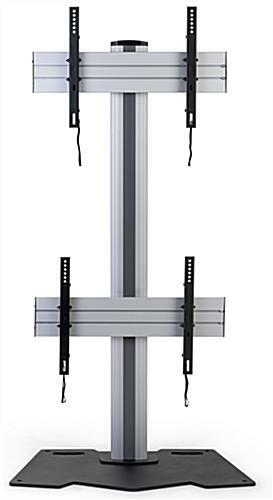 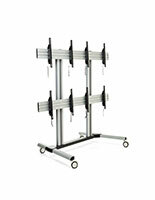 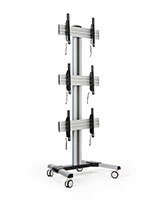 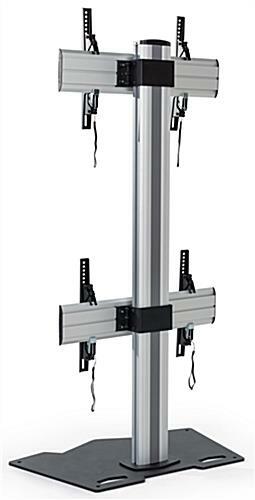 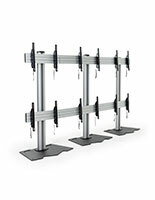 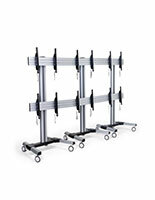 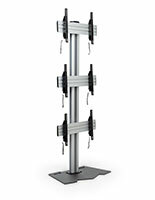 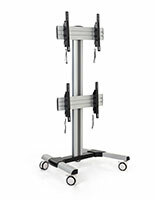 This vertical stand for 2 TVs will turn heads and innovate any wall in your work space. 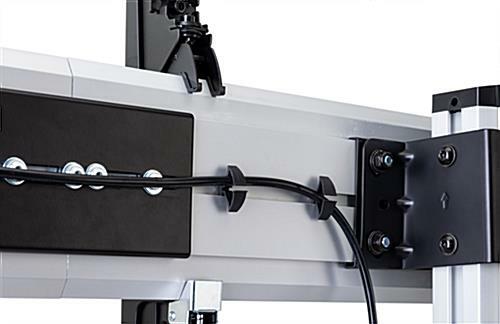 Our breakthrough dual-monitor mount stand meets VESA regulations on any 45”-55” flat panel television. 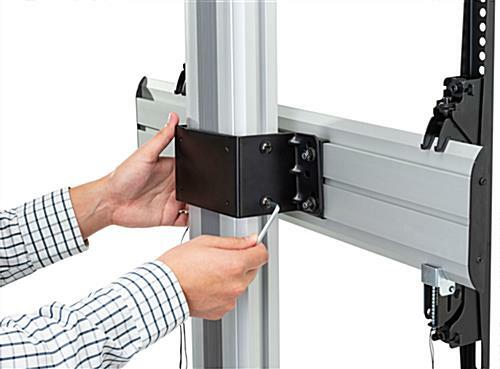 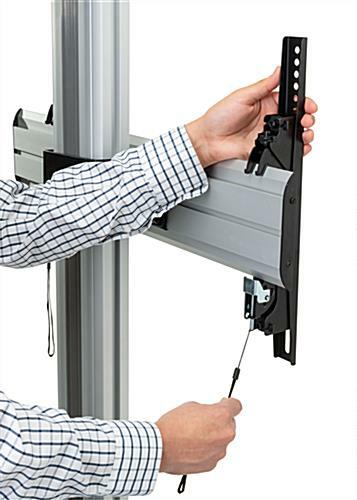 Easy to follow instructions will make the assembly of our stand for 2 TVs painless and our customer service agents are always ready to answer any questions about the product. 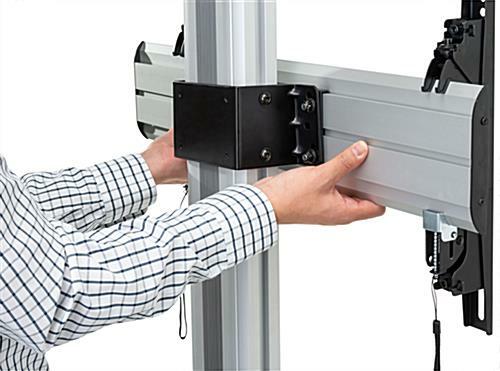 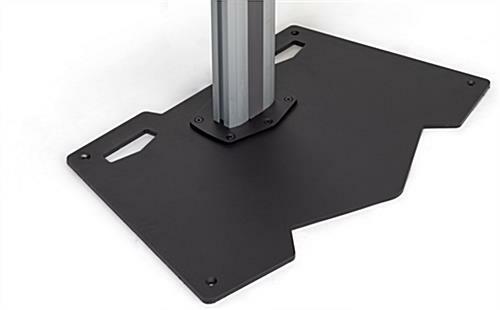 With a weight limit of 132 pounds per anti-theft bracket, and equipped with a robust steel plate base and column, the monitor mount stand will deliver peace of mind and securely display your flat panel television wall. 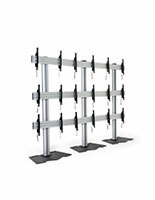 The stand will serve as a new and exciting way to market or display an interactive message to your clients and customers. 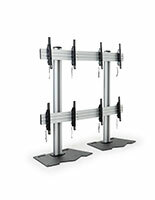 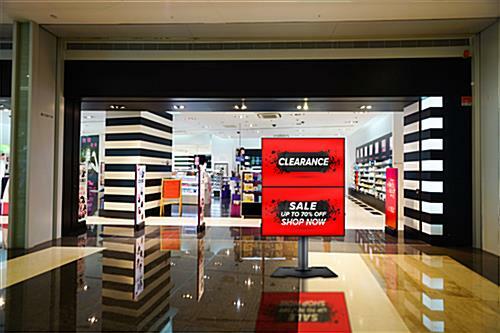 Use the stand for 2 TVs to connect with your customers and stand out from the competition by delivering interactive powerful messages.